Safety at Mahons Amusements is our top priority. Prior to opening, each piece of equipment is carefully inspected by a skilled midway manager and the trained ride operator using an inspection checklist, specific to each attraction. In addition to our daily inspections, our equipment is also inspected by local council at each event and registered with Worksafe NZ. Each winter, we work extensively repairing, repainting and refurbishing our equipment at winter quarters. Our full service winter quarters facility allows us to do detailed inspections of our equipment and perform cosmetic updates such as lighting, painting, and graphics so that each piece of equipment is in top shape for your event. Each ride and attraction has a Rider Safety Notice explaining safety requirements. Please ensure you take note of these signs before riding. 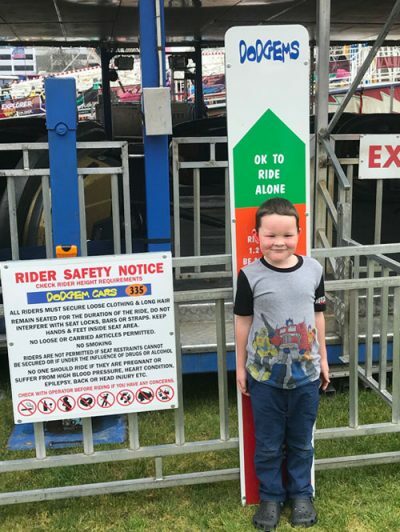 Mahons Amusements engage Safewise Limited Hamilton to keep all Health and Safety programs up to date. Mahons Amusements are also accredited with PREQUAL. safety equipment such as a seat belt, shoulder harness or lap bar when provided. in ride until it comes to a complete stop. age, height and weight restrictions.